Butterfly and pound chicken breasts flat (or ask butcher to do so). Heat olive oil in skillet. 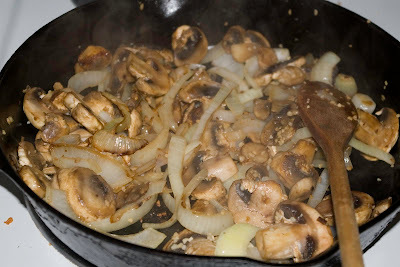 Saute mushrooms, onion, garlic, and peppers in olive oil until onions are translucent. 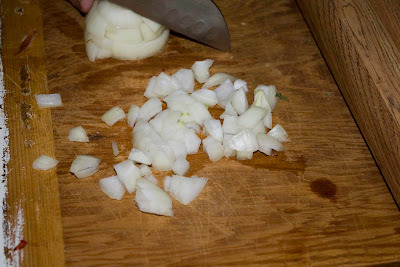 Turn off heat and add goat cheese, stir until melted/combined with vegetables. Lay out butterflied breast, sprinkle 1/4 of the Italian cheese blend on it, spreading evenly. Put 1/4 of the veggie mix in the middle of the breast and roll like a burrito. Skewer with toothpicks to hold closed. Optional, sprinkle choice of spices on each roll. Bake at 375 for 30-45 minutes or until internal temperature reaches 180 deg. Serve warm. 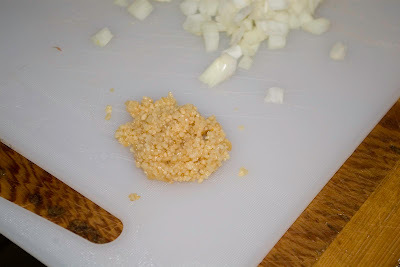 If you find that 1/4 of the mix is too much for one breast, the leftovers make a great side dish.